During the 1950s, many architects took great pride in creating buildings that were perfect down to the last detail, like a minimalist composition by Piet Mondriaan. 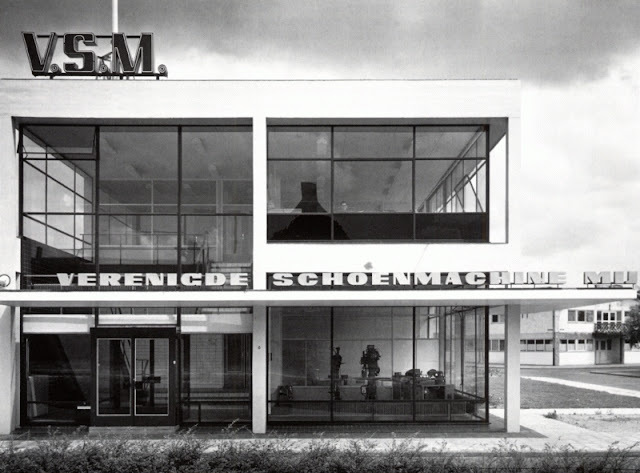 A fine example is the Verenigde Schoenmachine Maatschappij by Dutch architect Huig Aart Maaskant constructed in 1955/1960. 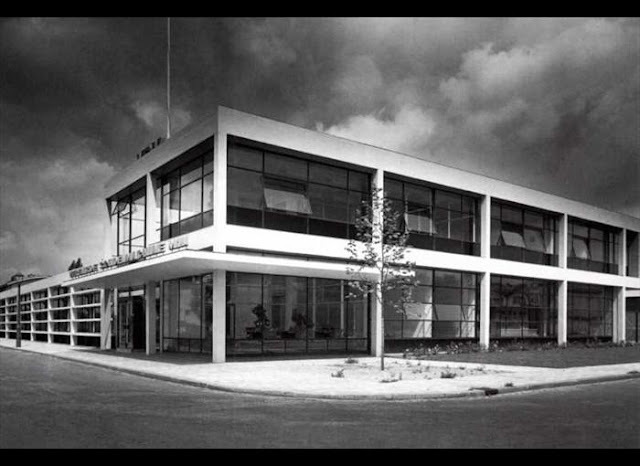 There is conflicting info where this building was located; either Vlijmenseweg or Industriestraat but we ware certain that it was located in the town of 's-Hertogenbosch in the Netherlands. Chances are that it was long ago demolished since there has been lots of new construction during the last decades; we would love to hear from anyone from 's-Hertogenbosch if this building is still standing.